Jesuit Priest Paolo Dall'Oglio, the father of ISIS! ☜ Father Paolo Dall'Oglio S.J. "....Father Paolo Dall'Oglio (born November 17, 1954) is an Italian Jesuit priest and peace activist. He was exiled from Syria by the government of Bashar al-Assad in 2012 for meeting with members of the opposition and criticizing the actions of the al-Assad regime during the Syrian civil war. He was kidnapped by rebels on 29 July 2013." (Wikipedia, June 3, 2015) Unconfirmed reports said that Paolo Dall'Oglio was executed by rebels. Why would Islamist rebels kidnapped and executed their Jesuit advocator? Was the kidnapping a false flag? Was the kidnapping a Jesuit job to cover up the Jesuit marks in ISIS's formation? Paolo Dall'Oglio was kidnapped 19 days after he revealed too much of his Jesuit role in the ISIS formation in an interviewwith Syria Deeply . org! Here are some excepts from the interview of Paolo Dall'Oglio by Syria Deeply . org on July 10th, 2013. "In 1992, the Italian-born Jesuit re-founded the ancient 11th century Syrian monastery Deir Mar Musa al-Habashi (the monastery of Saint Moses the Abyssinian) in the desert north of Damascus. Mar Musa rapidly became an important pilgrimage site,welcoming 50,000 visitors annually -- primarily Muslims. Today its future is uncertain." "Dall'Oglio takes a clear position on one side of the conflict: at times, he's been called the Priest of the Revolution. He condemned Bashar al-Assad's regime,calling on the United Nations and the West to intervene militarily in support of the rebels. * He was expelled** from the country in June 2012. After decades of monastic life in Syria, he now lives in exile." ** Jesuits have a history of being expelled by the nations for engaging in political intrigue and subversion plots against the welfare of the State. "SD (Syria Deeply) : Is this why you’ve chosen to risk sneaking back into Syria on two occasions now to meet with opposition activist groups? PD (Paolo Dall'Oglio) : And I will go again. I hope to work with television to show and to help the civil society take root and grow." "SD: You met with militarized extremists who oppose the Assad regime. PD: Yes, [the Syrian state news agency] then accused me of being imbedded with Islamist extremists and paid by Al-Qaeda." "SD: Your mission has clearly expanded far beyond furthering Islamic-Christian understanding. PD: I am fully engaged in Islamic-Christian harmony building, but today I’m also in the service of Islamic-Islamic harmony building. We want next Ramadan to be a time for prayer and action for the reconciliation between Sunnis and Shiites." "SD: Are the types of causes you’ve taken up typical of a Jesuit? PD: The Jesuits are an order of priests committed to the service of the gospel and souls, but not in an artificial way—we are very much for engaging and compromising in the society, by fighting for justice, for [community] development and human development, and for inter-religious dialogue and harmony building. Such has been my commitment… and in this I’m certainly very Jesuit." "SD: You were exiled soon after the massacre of Houla, was that a turning point in the conflict for you? PD: Yes, in the sense that it was the moment when my calls to the international community to act in a nonviolent way to protect the freedom of the Syrian people in their pacifist protest ended in a failure, where the international community was unable to act. The regime chose to use more and more violent repression, until it reached the point of massacre." "SD: At that point you decided a violent responseto this repression was justified? PD: The moment came when I said people have the right to defend themselves. The soldiers that have left the army so that they won’t be forced to shoot their own people, they have the right and the duty to protect the people. And when a democratic civil society is pleading not to be destroyed by violent repression and torture, the international community should help." Muslims are the easiest group of people to be radicalized with the religion of the Allah of Muhammad to do the Jesuit will. Jesuits are so conning that they were even able to radicalize Freemasons into orchestrating the French Revolution, which caused 40,000 deaths, with at least 16,594 beheadings. The ISIS beheading of non-Muslims is used by Jesuit agent Walid Shoebat to defend Rome and label Mecca as the mysterious Babylon, to cover up the origin of the little horn, the beast, the Antichrist(Daniel 9:26 clearly identifies the Antichrist as a Roman, not a Meccan), and the true identity of Rome, Babylon the Great. Coincident? 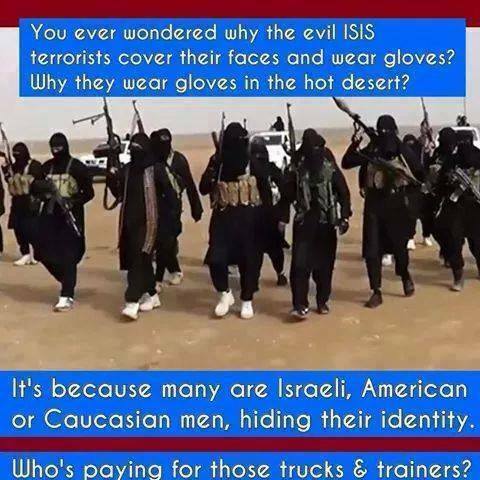 ISIS = Vatican CIA Operation using their fanatical Saudi Islamic cult known as "Wahhabi Islam." Wahhabi Islam is known as "the Sword of the Roman Catholic Church" in modern day Freemasonry. 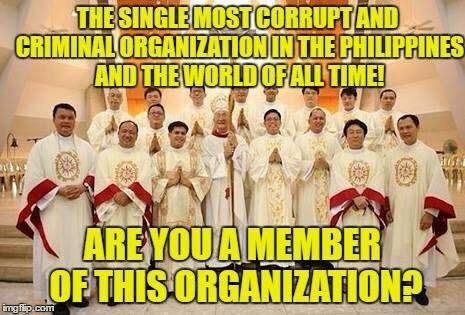 By controlling the global central banking cartel, Vatican Jesuits has been able to control ALL other religions via Freemasonry. The ones that adhere to their masonic pyramid structure maintain their massive wealth for their religion ( ie..Talmudic Jews in Israel, Masonic Sheiks/Hindus in India, Wahhabi Islamists…aka ISIS in Saudi Arabia) while the honest religions are attacked by Romes mighty eagled NATO forces until Roman Catholics can conquer them with another central bank (ie....Sunni Muslims in Egypt, Iraq, Libya, and soon Shiite Muslims in Syria and Iran) Their ultimate goal is a Communist One World Government! The Jesuits are a Military Religious Order of the Roman Catholic Church. The secret police of the Great Whore of Babylon, formed to be the soldiers of their false Christ, and the knights of their mother of god–the perpetual virgin, the fake Mary, the principal agent of the Counter-Reformation, and later a leading force in making Roman Catholic proselytes – children of hell (Matthew 23:15). Choose any war, revolution, assassination, religious persecution, plague, poisoning, etc., etc,. for the past 500 years, and you can be sure that it can be traced right back to the Jesuits and their general, the Black Pope. Of the 30 black popes, 33% are Romans (Italians); 27% are Spanish; the rest are all Europeans (Greater Romans). Never a Jewish, Arab, French, English, Portuguese, Irish, American, Australian, Canadian, Asian, or African Black Pope!